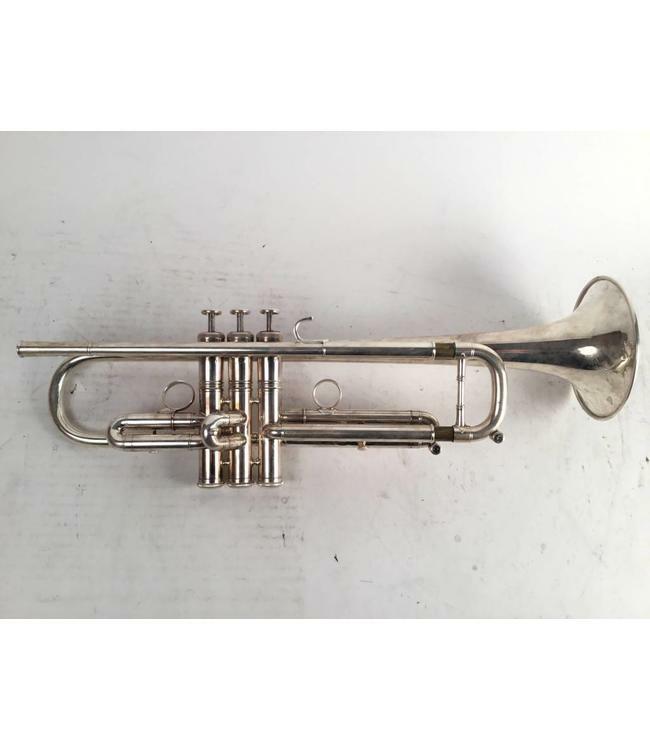 Used Kanstul model 1500B Bb trumpet in silver plate. ML bore (.460") and Kanstul's version of a Bach LT37. Overall good condition with evidence of back bell bow repair, surface scratches, and minor dings. No case.